If you are teacher or lecturer or professor, you would like to know about "how to give lectures? ", "How to give good lectures", "How to give interactive lectures? ", "How to give very very effective lectures? ", "How to give lectures that are more interesting to your students?" To answer of all these questions and use the solution in your classroom is the best way to become best lecturer. I am providing some tips which will be helpful to you to know the steps to give lectures. Many years ago, I bought the book Chicago Address in which Swami Vivekananda's Lectures in Chicago have been given. I read it and I inspired from his style of providing lecture. First few words of lecturer are very important for his students. 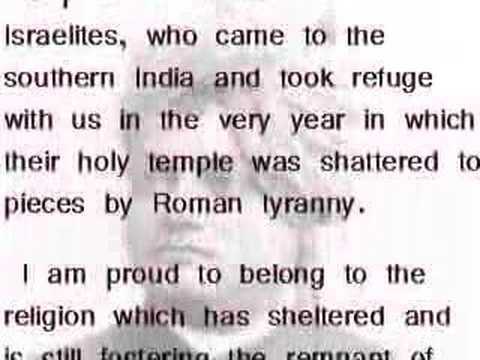 Swami Vivekananda told Sisters and Brothers of America. These are the simple words but it has great meaning. Your words show your personality. So, express your personality in the beginning of lecture. Swami Vivekananda explained a little story as example in his lecture. To explain the content of lecture with stories and examples are good way. Still, I have remembered the message of Swami Vivekananda's lecture. He gave message that we should leave our mind's narrowness and accept hugeness of God and live in this world just like brother and sister. There is nothing benefit just copying and repeating the things of text books in the lecture. Neither it will be effective nor interesting. Read the book of great people and get the tips of inspiration and share these tips with your students in the lectures. It will be effective. I read the many books of Orison Swett Marden and shared his inspirational thoughts with my students in my lectures. One of example of this is at here. There may be one solution which is explained by your text book. But you are teacher or lecturer and you want to give best lecture. You should do little hard work. You have to solve the problem by yourself. After this, you have to simplify the solution. You are teacher. It means you can understand difficult solution of difficult problem. Think about your students. So, try to simplify the problems and your students will become your fan. One of its example is my today happening which I am explaining in following lines. Today, one of viewer of my YouTube video lectures called me on my phone. He told me thanks for one of my video which is relating to linear programming graphic method. He saw also other videos but he understood from my video lecture. He also invited me in his home to spend some time with him. I think this is my success. You should also become a lecturer which understand the problem of students and try to solve in simple ways. Your lecture is the way to interact with your students. With this, you can ask different questions and get different response. On these responses, you can know the potentiality of each student. Now, bring personal touch in your lecture. In each lecture, your aim is to develop potentiality of student. Some student will not have patience. You have to give lecture to them not to hurry. Learn step by step. Again, if you have problem, I will help you. Your students' duty is to solve the problems according to your taught subject. If your students give up the problem, it is your defeat. Never give up that student who gives up the problem. Develop his potentiality by solving his problems with 100s new ways via your lecture.